In the midst of allergy season we’ve treated ourselves for the watery, itchy eyes, and sneezing but have we stopped to see that our pets may be suffering too? Animals may also suffer from allergies.. Preventing exposure to allergens is key to managing your cat or dog’s allergies. 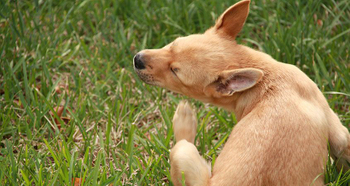 Prescribed antihistamines or corticosteroids often help control symptoms, while specially formulated shampoos or other topical therapies minimize itchiness and reduce excessive scratching. • Bathe your pets often. • Keep their bedding clean and allergen free. • Talk to your veterinarian about holding off on unnecessary vaccinations until your pet is feeling better so their immune system isn’t having to work so hard. • If symptoms last year-round, you may need to look at their diet. Pets typically need a diet low in grains and carbohydrates, but you can talk to your veterinarian about anti-inflammatory diets for your pet. They are bound to contain some form of Omega-3 oil to help reduce inflammation. Koda by Keys is a line of natural products designed for dogs. These chemical free products are perfect for your dog’s special needs. There are no sulfates, glycols, parabens, phosphates or any of the famous “Dirty 30” chemicals in these products. 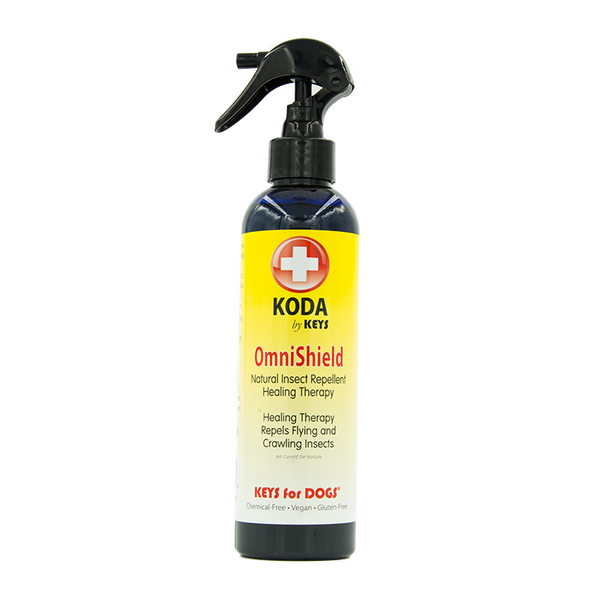 Koda products follow the guidelines of the Environmental Working Group human safety ingredient guidelines, FDA pharmaceutical guidelines and those of the USDA. OmniShield is a natural insect repellent and may help with itching, scrapes, and hot spots. You can spray this on your dog and rub it in before going outside or as needed for other ailments. 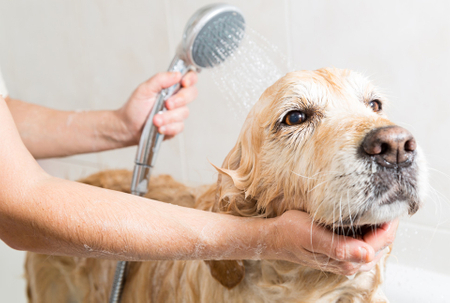 OmniClean shampoo to help wash off the irritating allergens. These products are made with your pets’ sensitivities in mind and are a great alternative to other pet care products that may contain irritating chemicals which could worsen your pets’ problem.